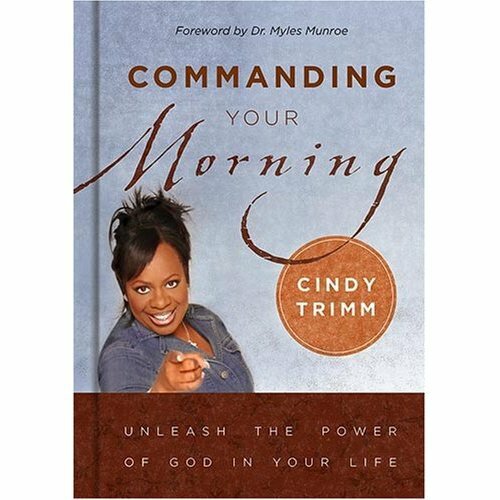 I’ve being reading this book “Commanding your Morning” by Cindy Trimm, it’s such a powerful book that I’d recommend every Christian to have it. Since I love you guys so much; I decided to share quotes and declarations from the book. The declarations are so much that I’d be sharing them every Monday. The power of the spoken word is one of life’s greatest mysteries. All that you will ever be or accomplish hinges on how you choose to govern what comes out of your mouth. By what you allow to occupy your mind and mouth, you can either bless your life to great heights of success or send it orbiting into realms of failure, sadness, and discontentment. Proverbs 23:7; “For as he thinks in his heart, so is he”. In view of this, below is a list of activation declarations that you can use during your time of prayer. As you read through the declarations, don’t merely read them; speak them aloud with faith, authority and power. Remember, you are partnering with God to activate His perfect will for you in this life. Make the activation declarations a vivid part of your prayer routine, and watch God turn things around! You are on your way to kingdom success and prosperity. All powerful God, place your anointing upon me. The anointing that is on my life repels every individual with a diabolical assignment. Let the anointing flow uncontaminated and unhindered upon my life. The anointing that is on my life for this season, mission, mandate, and purpose attracts only those with divinely ordained assignments.